What is an offering plan? Where can I find the condo offering plan for my deal? How do you track down a missing NYC co op offering plan? Who pays for the offering plan? What information is in a coop offering plan? 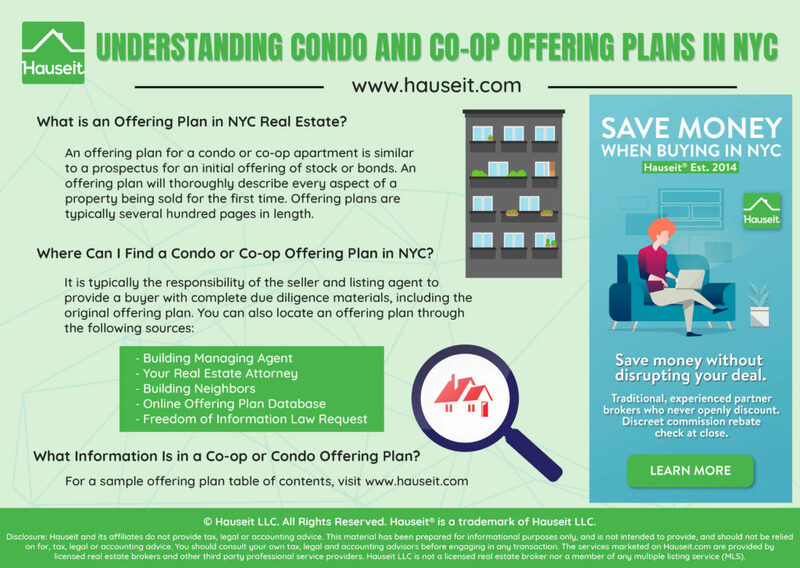 We’ll explain everything you need to know about offering plans for condos and co ops in NYC in this article, from how to find a missing coop offering plan to who typically pays for the offering plan. Where Can I Find the Condo Offering Plan in NYC? Where Can I Find a Coop Offering Plan? What Information Is in a Co op Offering Plan? Who Pays for the Offering Plan in NYC? An offering plan for a condo or co-op is similar to a prospectus for an initial offering of stock or bonds. An offering plan is typically several hundred pages in length, and will thoroughly describe every aspect of a property being sold for the first time. An offering plan for the sale of new securities, including the sale by a sponsor or developer of interests in co-operatives or condominiums, is required per the Martin Act, a New York State law enacted in 1921 to enable the New York State Attorney General to fight all aspects of financial fraud. No advertising, sales or promotion of the new property can take place until the Attorney General’s office has accepted the offering plan for filing. It’s important to understand that acceptance for filing by the Attorney General does not mean it is a good investment. Acceptance for filing simply means that the Attorney General’s office believes that the offering plan contains the full amount of disclosures required by the Martin Act. For example, the property could be a wreck, but the Attorney General cannot withhold acceptance until the property is repaired. Rather, it can only mandate that the condition be disclosed in the offering plan. It is typically the responsibility of the seller and listing agent to provide complete due diligence materials, including the original NYC condo offering plan, to the buyer and the buyer’s attorney. Therefore, if you are buying a condo in NYC, you can simply ask the listing agent for the condo prospectus if it has not already been sent to you post offer acceptance. If you are the listing agent for a new development condo in NYC, then the sponsor will have recently filed the condominium offering plan and will have it readily available for you. If however, you are the seller of or a listing agent for a condo re-sale, you may have to dig around more to find the original condo plans. If you are selling an older condo and don’t have the original condo offering plan from when you bought the property, you’ll need to ask the building’s managing agent for a copy. Often times, the managing agent will only provide paper copies of the condominium offering plan and will charge several hundred dollars for it. However, you may get lucky and be able to get a digital copy of the condo plans for free if you have a more tech savvy building management company. If your building’s managing agent is insisting on charging an unreasonable amount of money, you could check with the attorney who helped you with your original purchase of the property to see if they still have a copy of the condominium plan. Lastly, if all else fails, you can search for your NYC condo offering plan in an offering plan database like TitleVest. You will have to pay for hard copies, but digital copies of offering plans can be free on some offering plan databases. In the very unlikely event that the managing agent, your former real estate lawyer, or various online offering databases do not have your condo prospectus, you can submit a Freedom of Information Law request with the New York State Attorney General’s office. It may take 20 business days or more to respond to your request, so you’ll need time and patience if you choose this route. The seller and listing agent is responsible for delivering the coop offering plan and other due diligence materials to the buyer and buyer’s attorney. Even though most new construction these days are structured as condominiums, you will occasionally see a co-op sponsor sale. These coop sponsor units are either unsold shares that the sponsor has previously held back for rent, or it may even be a complete new development. In the rare case of a coop new development, the sponsor will have just filed an offering plan for acceptance with the New York State Attorney General, in which case the listing agent will be easily be able to get it from the sponsor. Even if it is a sponsor sale of existing units, it is extremely likely that the sponsor will have a copy of the coop offering plan and any amendments. For traditional re-sales of coop apartments, the seller may still have a copy of the original offering plan from when they first purchased the apartment. If not, their lawyer may still have a copy of the coop offering plan on file. If neither of those avenues work, sellers should ask their building’s managing agent for a copy of the coop offering plan. Similar to condominium managing agents, the coop’s managing agent will typically charge several hundred dollars for a physical copy of the coop offering plan. It is important to note that in some instances, older coops may not be able to find a copy of the original offering plan. This will not be unusual if the coop is very old and has existed for a great number of years. If the coop’s board, its managing agent and the building’s attorney cannot find the coop offering plan, the buyer’s attorney can check with other shareholders in the building, especially those who have purchased recently. Those who have purchased recently may have been given a copy of the original offering plan. You can also take a look at various online offering plan databases such as TitleVest’s library of offering plans. Many offering plan databases will provide digital copies for free, while charging for physical copies. As a last resort, you may submit a Freedom of Information Law request with the New York State Attorney General’s office. It may take 20 business days or more to respond to your request, so you’ll need time and patience if you choose this route. If none of these avenues work or if you simply cannot wait 20 business days for the Attorney General’s office to respond, the buyer’s attorney can due diligence other important co-op documents such as the co-op board minutes, the coop questionnaire, the two most recently audited financial statements, the co-op by-laws, the proprietary lease and the house rules. The inability to review the original coop offering time becomes less important over time as many sections of it become irrelevant or outdated. For example, the original proposed co op or condo budget in the 1980’s will not be so relevant for a purchaser today. Offering plans for co-ops generally are divided into two main sections. Who pays for the offering plan is a common question asked by first time home buyers and sellers in New York City. While everything is negotiable (including broker commissions), in a traditional re-sale it is typically the seller who must pay for and deliver the offering plan to the buyer’s attorney. While paying several hundred dollars for an offering plan for a buyer who may not even be serious may irk sellers, keep in mind that most real estate attorneys are professional enough to return an offering plan if their buyer backs out of the deal. Interestingly enough, the sponsors for new development sales often require the buyer to pay for the cost of the offering plan, in addition to other closing costs of the sponsor such as the sponsor’s attorney fees or transfer taxes. Remember though, just because the developer expects you to pick up their costs does not mean it’s not negotiable. 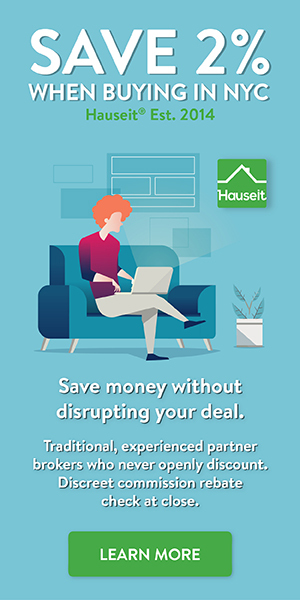 A great buyer’s agent will be able to negotiate a deal for you where you can receive a seller concession towards closing costs but pay a higher price optically which will make the other units in the building easier to sell. How Much Time Is There Between Offer and Closing in NYC?